This gorgeous bracelet was hand strung and designed by Navajo Artist Theresa Belone. 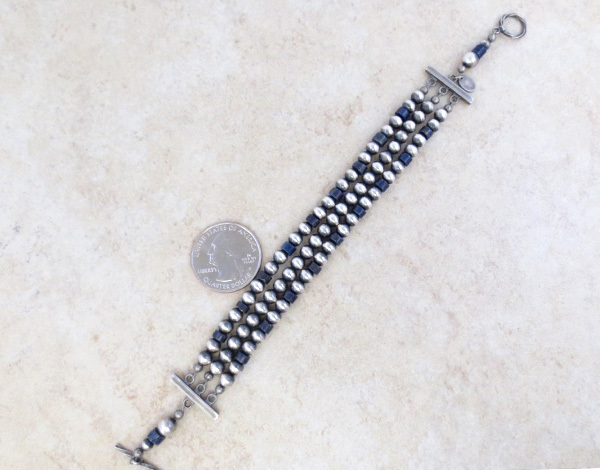 It's a toggle type bracelet with 3 strands of desert pearl beads and beautiful lapis beads. 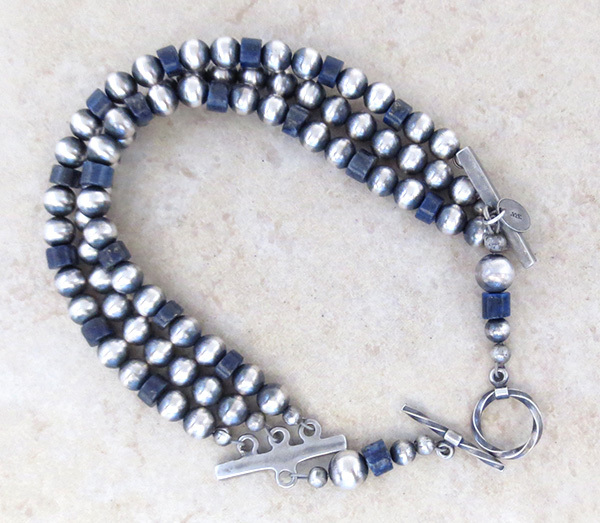 The machine made sterling silver beads have a satin finish to them. a kiosk jeweler in the mall. Didn't match exactly but that was fine with me.